Upon acceptance, students pay a $50 deposit. Click here to pay the deposit.  Sterling College Online courses are not available to international students at this time. The “Programs – Apply Now” button is only for Sterling College Online Degree Programs.